NEW CARROLLTON, MD, March 11, 2014. Honorata Rallos, Science Coordinator at Margaret Brent Regional Center, has been recognized by Elite American Educators for dedication, achievements and leadership in special education.Ms. Rallos started her career in her home country of the Philippines where she taught for more than 30 years and opened a learning center for special education in the University of San Jose-Recoletos. 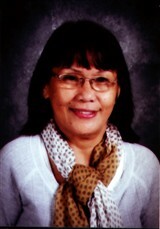 In 2006, she came to the United States to learn the American style of teaching special education. Ms. Rallos taught for one year in a high school in Virginia before joining the Margaret Brent Regional Center.Her varied experience and genuine passion for teaching have enabled her to excel in her current position. An expert in providing education to disabled children with emotional difficulties, Ms. Rallos is responsible for teaching general studies and science to second-grade students. She attributes her success to her positive mindset, passion for her profession, and belief that there is always room to improve and learn. Looking toward the future, Ms. Rallos hopes to work on immigration laws that will benefit Asians.